Update: Sorry about that, Amazon and Walmart aren’t listed as participating retailers this time around (though they’ve worked in the past). Home Depot is, however. If your car takes synthetic oil, and you like to change it yourself, you’d be hard-pressed to find a better deal than this. For a limited time, if you buy five quarts of Mobil 1 and a filter, you can submit your receipt online for a $17 rebate, which should bring your total cost down to the $17-$18 range. Or, skip the filter and get $12 back just on the oil. 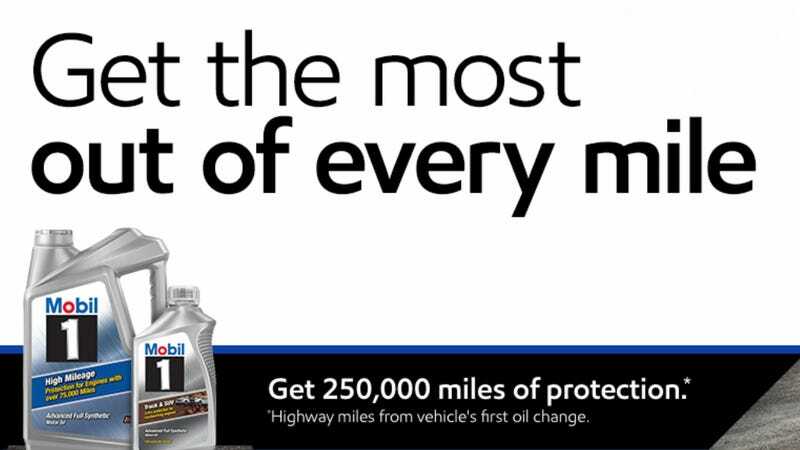 $10 and $7 rebates are available for Mobil Super Synthetic and Mobil Super oil as well, respectively. Walmart tends to have good prices on Mobil 1, but you can also find a lot of different weights on Amazon as well. Just don’t forget to submit that rebate.